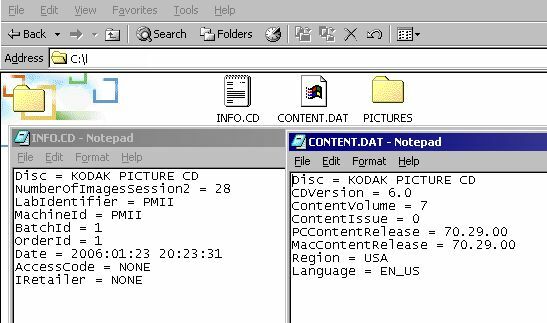 There is a way to make a Kodak Picture CD. I just went up to Walgreen's to have one made (for $3) after failing to get a "jpg cd" to play on my standalone DVD player. I looked on the Kodak Picture CD. A couple of interesting files in the root directory, but I don't think they are significant because I made a new CD without them and it worked just the same on my standalone DVD player. I think the key to making a Kodak Picture CD is in the image naming and numbering system. These images I made clear everything up. The two data files in this image are not needed. I just show them for reference. 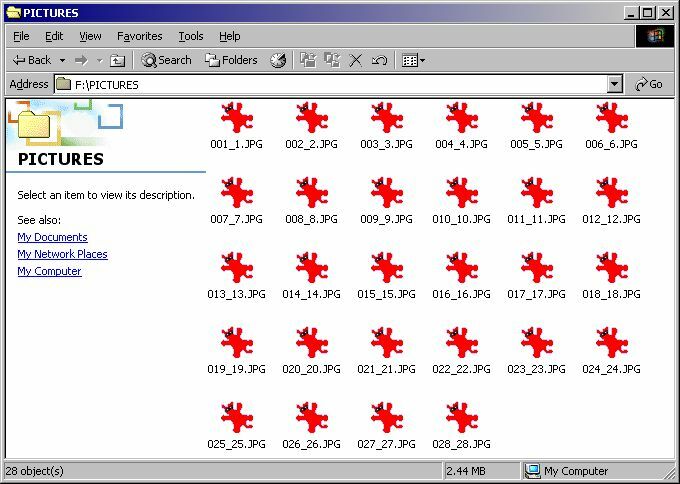 All that is needed is to make a folder called "PICTURES" and rename and number your images like so. <- Back to Ted's Kodak Photo CD page.